ZooEasy helps to improve breeding results and is available for breeders and organizations of all animal species. "This software organizes all animal species and describes them." I like to use this software a lot because I consider it very easy to use and develop all its functions. This is not a complicated software at all, you can use it in the way that you think is most convenient and in the same way you will be able to use all its functions to the maximum. I also like it a lot because it is very organized software, because within my work and business environment the organization is very necessary, especially when it comes to the classes of species to be able to describe each one in detail. What I do not like at all about this software is its interface because I consider it too old-fashioned; I can even say that obsolete and ugly, this software deserves a big update urgently and completely. The first recommendation I am going to make here is for the Zoo Easy team and it is that please update it, every day everything evolves and the technology advances, I consider this software very good but its image does not please me and the first impression is always the one that counts, so please modernize it. And if they ask me if I recommend this software, I say yes. For all those people who want a lot more organization within the classes of animal species and who define each one. Get this software now. Me, on behalf of my employees, co-workers and the business, we consider that this software has helped us a lot, mainly in the management of data of the business because each of the animal species need a organization, therefore this software facilitates us much our business doing much faster all our activities. What Veterinary solution do you use? ImproMed Infinity is an on-premise veterinary practice management suite for clinics of all sizes. Primary features include treatment plans, patient information tracking, appointment management, billing, invoicing and reporting. An online appointment booking platform for veterinary practices communicate with their clients. Reach and convert more clients. Get more appointments with less time spent on the phone. Web-based communication tool designed to connect pet owners with their veterinarians. Web-based veterinary software with billing, reporting, appointment, records and inventory management. Practice management solution with records management, lab support, inventory management, Treatment plans, MREs and diagnoses. Petly Plans software makes it easy to manage your patients care, set up automated payment plans, and schedule the next appointment. VETLINKSQL is a SQL-based veterinary practice solution that helps various types of veterinary practices manage clinics. Designed to meet the specialized needs of innovative general, specialty, emergency and critical care veterinary practice. 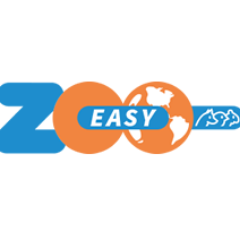 * We monitor all ZooEasy reviews to prevent fraudulent reviews and keep review quality high. We do not post reviews by company employees or direct competitors. Validated reviews require the user to submit a screenshot of the product containing their user ID, in order to verify a user is an actual user of the product. Hi there! Are you looking to implement a solution like ZooEasy?